1. Cleanse: This is the first step to a proper skincare routine. I know some women who still go to bed without removing their make-up. It is essential to remove your make-up with a proper cleanser; soap and water will not take off all your make-up, excess oil, grime and dead skin cells which can all clog pores. Soap also leaves deposits on the skin that can clog and dry the skin more so using a good cleanser first thing in the morning (after a shower) and last thing at night is the first step to a healthy-looking skin. There are generally four types of cleanser, they are foam or gel cleansers for oily, normal and combination skin, lotion cleansers for normal and combination skin, cream cleansers for dry and sensitive skin and facial wipes. 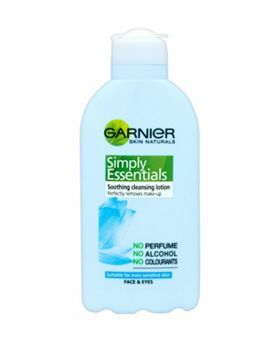 I use Garnier Simply Essentials Soothing Cleansing Lotion. I have been using this religiously for over a year now and I love it. It was recommended to me by good friend- Sandra and It is perfect for my combination skin type. It removes even waterproof make-up. It has no perfume, no alcohol and no colourants so it is also perfect for sensitive skins. You can get this in most beauty stores like Boots, Superdrug for £2.99. 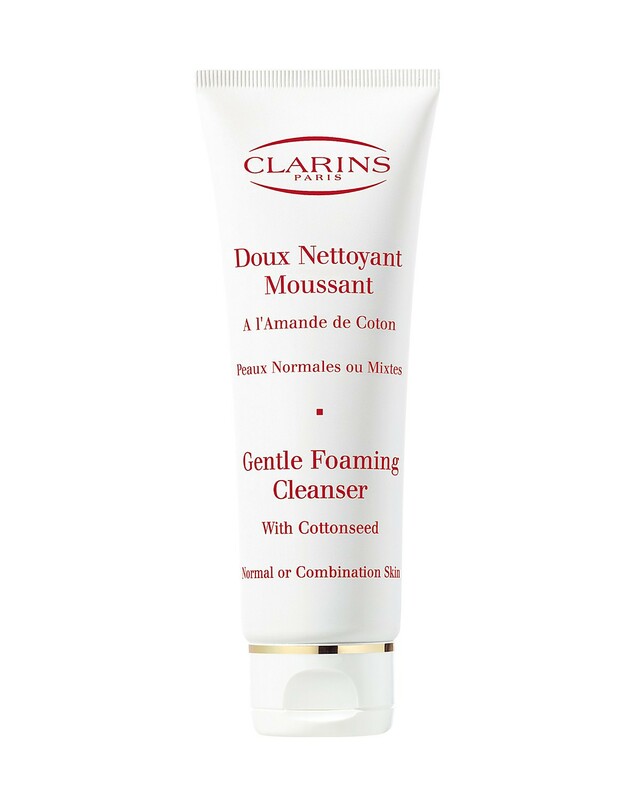 The Clarins Gentle Foaming Cleanser is recommended as well for the oily, normal and combination skin. It currently costs £18 in most beauty shops. 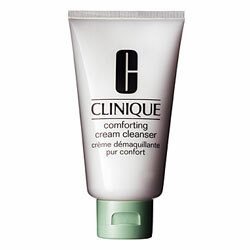 The Clinique Comforting Cream Cleanser is recommended for the dry and sensitive skin. It currently costs £17 in most beauty shops. The use of facial wipes are not recommended for the long-term but they are handy for when you are on the road or just too tired to have a proper cleanse. 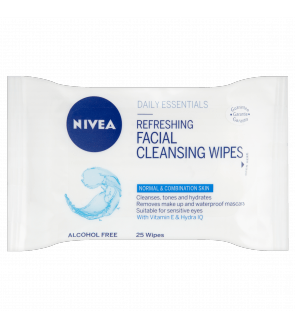 The Nivea Refreshing Facial Cleansing Wipes for £3.09 is a good option. 2. Tone: This is the second step in the skincare routine. Women need to tone in order to tighten the pores, refine and rejuvenate the skin. Alcohol toners are not recommended for any skin type as they are too harsh. The toners to go for are Non-alcoholic toners and skin fresheners or natural toners. Non-alcoholic toners are good for oily, normal and combination skin types while skin fresheners and natural toners are perfect for dry, combination and sensitive skin types. The toners should be used morning and night after cleansing the skin. 3. Moisturize: Moisturizing your skin is the third and final important step. Moisturizing properly will hydrate the skin, revive the skin and keep it soft and smooth. After cleansing and toning your skin, apply a moisturizer in the morning and a night cream at night. I use Fair and White Moisturizing Body Milk everyday and I have been using it for so many years now. it serves as both my day and night cream. It moisturizes my skin and it keeps it supple. You can get this for £10 in most stores. I am unable to recommend any other moisturizer as I have used the same moisturizer for donkey years now. The best way to pick the right moisturizer is to go into a beauty shop and pick out samples of various moisturizers for your skin type and then decide on the best one for your skin. I will continue with this topic next week as I still have some skin care tips to share as well as some other extra products you could find useful for your skin. The gorgeous Gwen Stefani is our style icon for this week. The talented 44-year-old singer is super stylish. I love her rock star quirky style. She has a completely different look and it works for her which is the most important thing. Have a look at her pictures and be inspired. Also feel free to drop comments on your thoughts about her style. 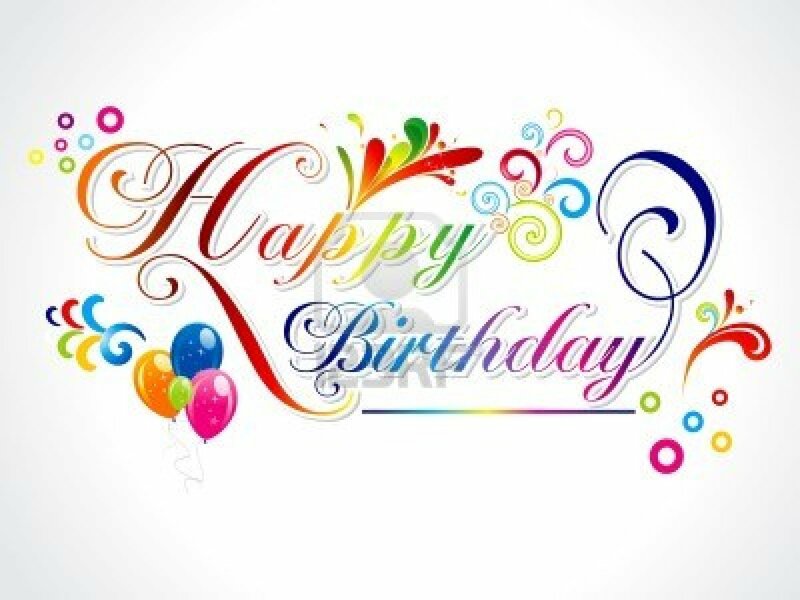 I cannot believe it is a year already. Time really flies. I started this blog a year ago out of my passion for fashion; my desire to build a career in the fashion industry. It has been a good year. My followers keep growing day by day (currently have 445 followers) and my blog stats hits are currently 41, 370, which is really impressive for a one year old blog. Fashion and Style Police is gradually gaining the recognition it deserves and I am so proud of my work. This blog has become an important part of my life, I enjoy showing off my personal style through my outfits ( My personal style pictures have been on hold for a while now due to unforeseen circumstances but they will be back up shortly so watch this space), I enjoy writing about fashion and style topics and I have recently incorporated beauty topics into my posts as well. My wish for fashion and style police is to have a better second year in all areas, more quality content, better photographs, more followers, more blog hits and more recognition. 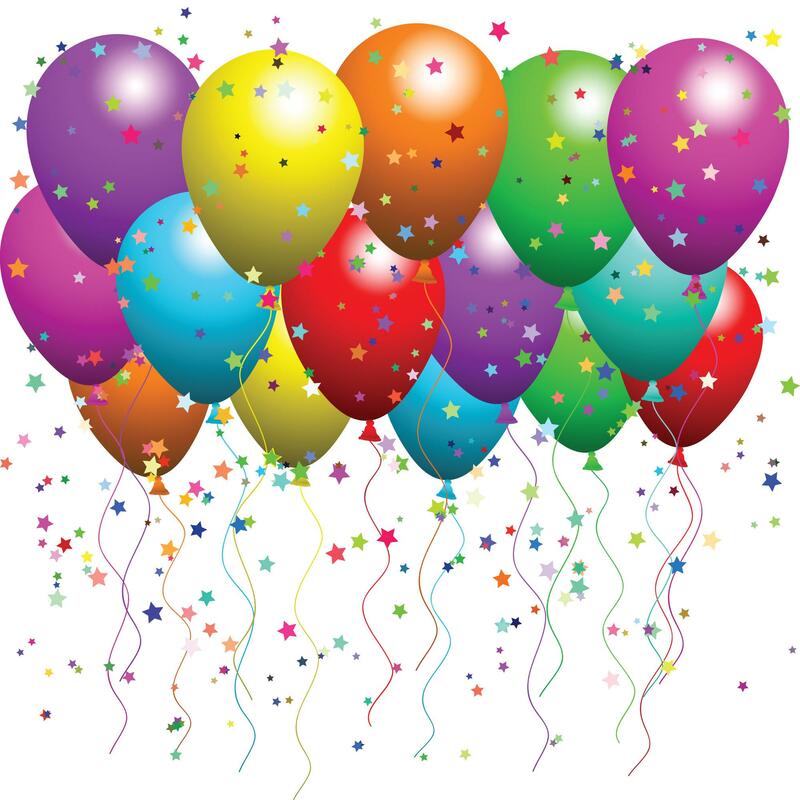 I will like to say a big thank you to everyone who has ever read any of my posts, to all my followers and commenters and to all my Word Press blogger friends. Thanks for a fabulous year.